Watch Grey's Anatomy Season 14 Episode 20 online via TV Fanatic with over 6 options to watch the Grey's Anatomy S14E20 full episode. Affiliates with free and paid streaming include Amazon, iTunes, Vudu, Netflix, Hulu Plus, and Verizon On Demand. 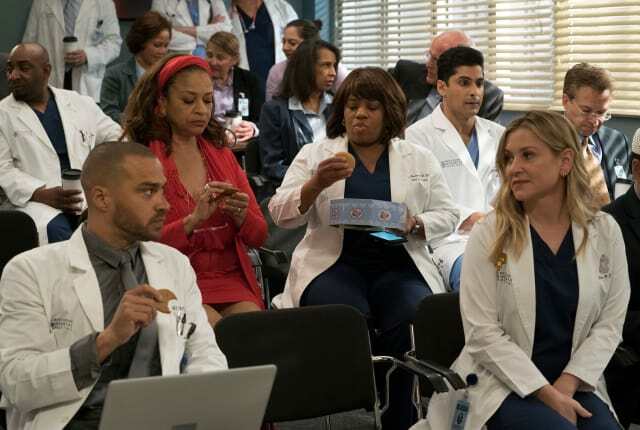 During presentations on Grey Sloan Surgical Innovation Prototypes Day, Arizona shares some cookies from an appreciative patient that, unbeknownst to her, contain a special ingredient. Meanwhile, Catherine reveals some shocking details to Jackson about his grandfather’s past; and Jo steps in mid-operation on a major surgery after Bailey and Meredith are down for the count.